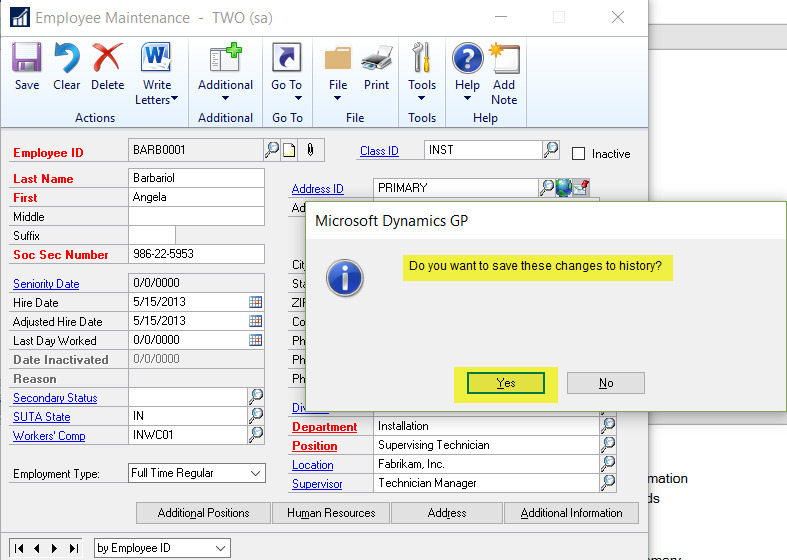 I'm working with an installation of GP 2016 where the Position History table is not being populated. HR is registered and active. 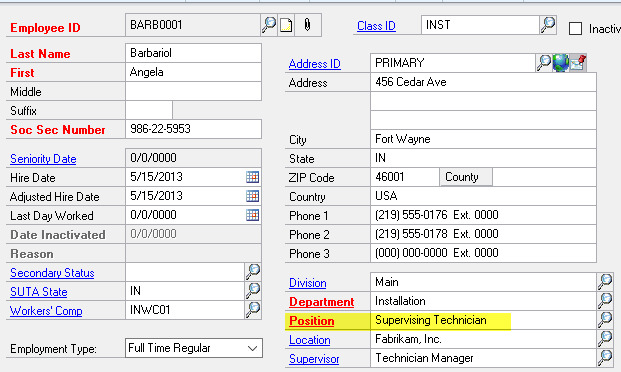 You can use the other HR windows and enter position history using that window. 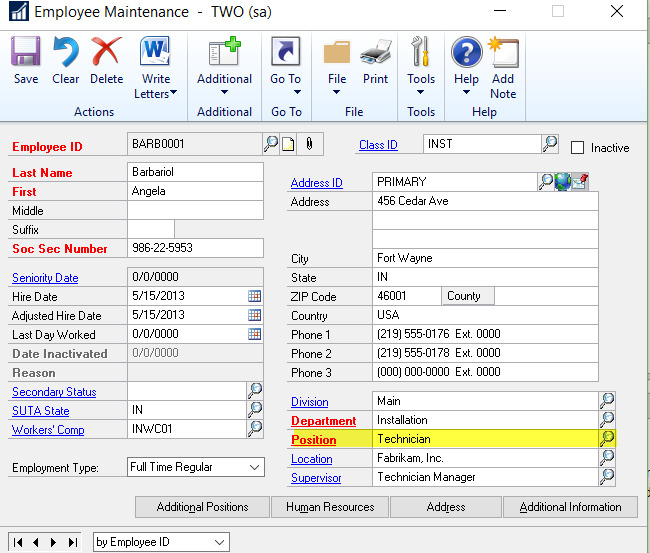 But, if you change an employee's position on the Employee Maintenance window, no history record is being created. The installation does have MEM; although, I haven't heard of issues with position history. Nevertheless, I turned off MEM and disabled it to no avail. Has anybody see a situation where position history is not being populated? I'm not sure if this relates to the issue you are seeing, but I do know there is some touchiness between the HR and Payroll modules of GP. Hmmm... I don't think I've ever had this happen and I know you know what you are doing! I just went through the process of changing a position for an employee and it worked fine. The only reason the system wouldn't create history is if you selected, "No" when the pop-up window asked if you want to save the changes to history. OR, if you selected the "Cancel" button on the Reason for Change window that pops-up after the first message. We aren't getting any prompts, which is odd. 1. 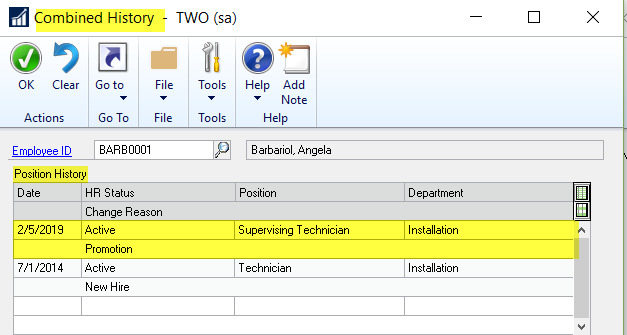 Angela's current Position is "Technician", but, she has been promoted to "Supervising Technician". Perhaps you/your customer is using a different window to change the position? Or, using an Add-On product or customization? It is the Employee Maintenance window. We do have MEM installed but I've disabled it using Customization Status.